There are over 160 Kosher chocolate candy choices at Old Time Candy. 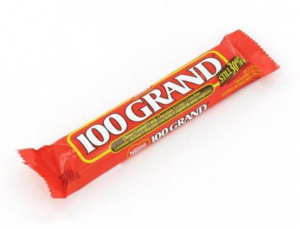 Pictured here are three immensely popular old-fashioned favorites: 5th Avenue bar, 100 Grand and 3 Musketeers. This elegant and Kosher Chocolate Truffle Fudge selection is from Matthews 1812 House, where they bake all of their gourmet chocolate products in small batches in Cornwall, CT, and have been since 1979. These truffles are coated in dark chocolate with a variety of fudge and nut fillings, including walnuts, peanut butter, chocolate chips, and caramel. Ethel M Chocolates has a really nice selection of Kosher Chocolates, including these three: Chocolate Pecan Brittle, Classic Sampler, and the Las Vegas Commemorative Assorted Chocolates. Viva Las Chocolate! 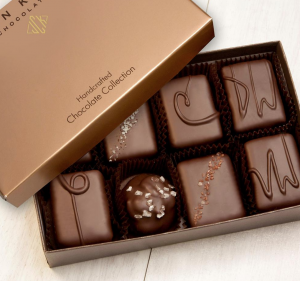 Astor family chocolates is located in New York and has Parve and Kosher chocolate selections. Pictured here are the Parve Classique Chocolate Hazelnut Truffles (lactose-free), and Kosher Moodibars and Milk Chocolate Peanut Butter Cups. Note: There is no Kosher certificate listed, but when we searched for Kosher, those appeared.